January 11, 2011 by admin 1 comment on "Winter, 2011 issue of the Footprint Press"
EXTRA! 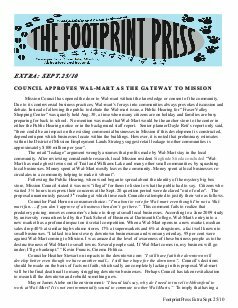 Council approves Wal-Mart as the gateway to Mission. Published September 25. Click here to view the PDF. Tracy Lyster- What are Official Community Plans? 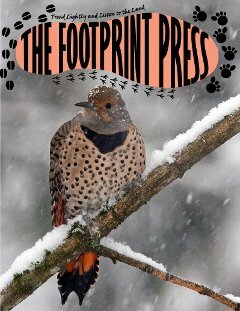 The Footprint Press is pleased to accept submissions of articles, photographs and artwork for possible inclusion in the magazine. All submissions are reviewed by our editorial committee in terms of relevance and appropriateness for upcoming issues. The decision of the editorial committee is final. Please note we do not accept advertising or promotional material. We do not provide financial compensation for submissions. 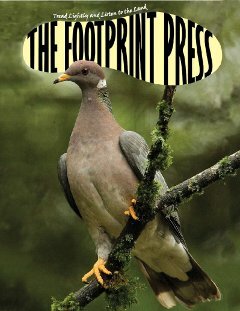 It is advisable to contact the Footprint Press editor prior to making a submission here. Articles should be submitted in digital format. Please limit the article to 700 words or less and include the name of the author, place of residence, and any affiliation(s), or contact info (e.g., Facebook). Photographs and photos of artwork need to be in a high resolution digital format for printing purposes. Dr. Claudette Bethune is a practicing clinical scientist in the USA. 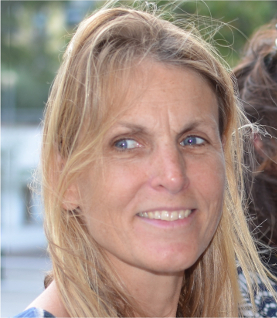 Claudette was trained at the University of Washington in Seattle, has a doctorate in drug metabolism and clinical pharmacokinetics, and is qualified to characterize the safety of medicine as well as food nutrients and toxins by the US FDA and international regulatory bodies. She has worked for the Norwegian National Institute for Nutrition and Seafood Safety (NIFES) providing health authorities with risk assessments for consuming farmed fish. Dr. Bethune writes extensively about the health problems of farmed salmon due to the accumulation of toxins such as PCBs from feeds and the promotion of antibiotic resistance by salmon farms. Dr. Marvin Rosenau is an instructor in the Fish Wildlife and Recreation Program (FWR) at the British Columbia Institute of Technology (BCIT) where he teaches Fish Ecology and Management as well as Environmental Monitoring at the second-year level in addition to year-long Projects course. 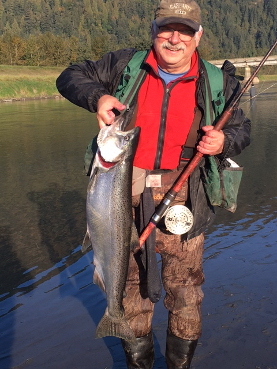 Marvin has a 35-year history of working in freshwater fisheries in the province of British Columbia. This includes stints as a consultant, in academia, with the International Pacific Salmon Fisheries Commission, and with the provincial Ministry of Environment. Much of his work, within and outside of government, has focussed on stream and lake habitat-protection and restoration, including issues relating to gravel-removal from streams, lake fertilization and flow-augmentation for fluvial fishes. 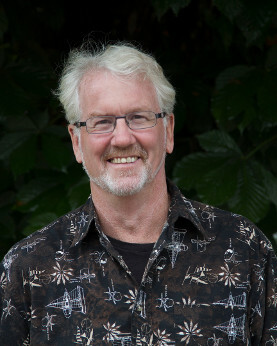 Marvin worked extensively on lower Fraser River white sturgeon during the 1990s as a BC fisheries program biologist and as a Director and member of the Science Committee within the Fraser River Sturgeon Conservation Society. In the 1990′s he also worked on Water Use Planning flow agreements, which modified stream discharges in a number of hydro-electric projects in south-western B.C. to great success in increasing fish numbers. Species that he has, in particular, worked on over the years include sturgeon, kokanee, Salish suckers, Coho and Chinook salmon. He has a BSc (Honours) and an MSc from the Department of Zoology, University of British Columbia, and a DPhil from the Department of Biological Sciences at the University of Waikato in Hamilton, New Zealand. In addition, he has won a number of aquatic conservation awards including the: Murray A. Newman Award for Significant Achievement in Aquatic Conservation (1999), the B.C. Wildlife Federation Ted Barsby Trophy Conservationist of the Year (2008), the Canadian Wildlife Federation Roland Michener Conservation Award (2010), and the Totem Fly Fishers Roderick Haig-Brown Conservation Award (2012). Rebecca McMurray is a lifelong resident of Mission, a local naturalist, and environmental educator. 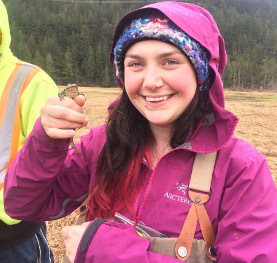 She graduated from the Bachelor of Science in Ecological Restoration Program at BCIT in 2015. Focussing her efforts on inspiring an interest in nature in others, she has worked and volunteered with Metro Vancouver Regional Parks, WildSafeBC, Surrey Nature Centre, Mt Seymour Resorts, Abbotsford-Mission Nature Club and is currently working as a fisheries technician on the Coquitlam River. Rick was born in the Fraser Valley and grew up exploring the outdoors. His love of the natural world led him into the realm of wildlife photography. Being outside observing and photographing raptors, other birds and wildlife in their natural habitat has become his passion and a subsequently meditative endeavor. He has produced calendars, note cards and coasters from his work. Rick can often be heard saying “I am going out to shoot birds with my Canon”. Leanne Hodges is primarily a self-taught artist with an academic background and technical training acquired in a variety of visual art programs in the US and Canada. For more than twenty years, she pursued an art practice while developing a remote charter boat company and raising her son, Kai. 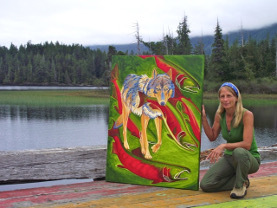 In the far reaches of coastal BC, Leanne worked as an artist, a DFO contractor enumerating salmon streams, and a guide and naturalist for wildlife charters. Images of wildlife, coastal landscapes, indigenous cultures, and environmental themes are expressively interwoven in Leanneʼs paintings and mixed media artworks. Technically and creatively, she is attracted to and challenged by cross media formats, with a special interest in life-size models and murals. This gives her artwork a uniqueness and originality not typically found in west coast portraiture, wildlife or landscape art. These qualities converge in Leanneʼs current interest in paper pulp, an eco-conscious medium capable of lightweight applications and increased pliability for three dimensional pieces. It also lends versatility to highly modelled and textured surfaces in her works on canvas. … before what we have is erased from existence.